WPP reported a solid first quarter with revenues virtually flat for the final three months when Martin Sorrell was in charge. Like-for-like revenues less pass-through costs – previously known as net sales – dropped 0.1% in the first three months of 2018. It was better than the three previous quarters when revenues less pass-through costs fell 1.7% in Q2, 1.1% in Q3 and 1.3% in Q4 in 2017. It was also an improvement on figures for January 2018 when revenues less pass-through costs fell 1.2% and it suggests there was a pick-up in February and March. North America was the weakest performer with revenues less pass-through costs dropping 2.4%. The UK was better, up 1.6%, but western continental Europe was down 0.2%. Asia and Latin America were up 2.3%. Mark Read and Andrew Scott, the joint chief operating officers who took over when Sorrell quit as chief executive earlier this month, promised to "proactively address the under-performing parts of our business". There is speculation that WPP could sell off assets and the Financial Times reported that private equity firm CVC has approached the ad group about buying data unit Kantar, which could be worth £3.5bn. WPP shares rose as much as 9% this morning on the improved trading and hopes of a sale of Kantar. Roberto Quarta, the chairman has moved up to executive chairman, and is running the company with Read and Scott on an interim basis as the board looks for Sorrell’s replacement. 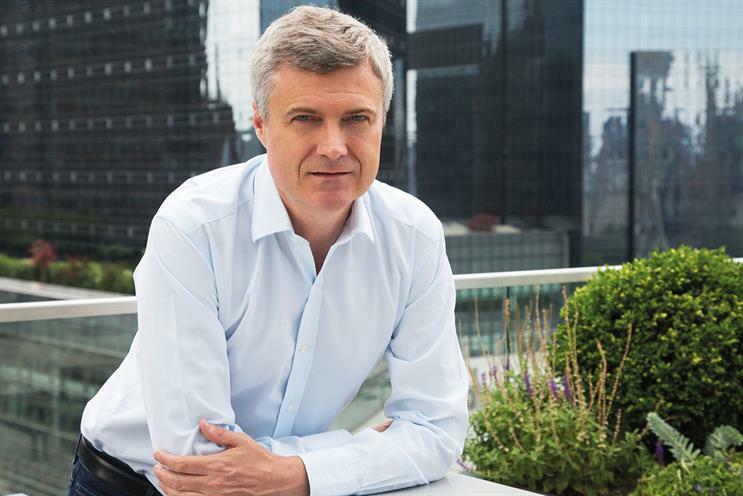 WPP has previously said it expects flat revenue and margin growth in 2018 and Quarta said trading expectations for the full year remain "unchanged". He said: "Mark Read and Andrew Scott are providing the stability and leadership WPP requires, but there is no standing still. "They have my and the board's full backing to review the strategy, to come back to us with recommendations, and to move forward decisively to implement our vision for the group." Read and Scott said in a joint statement that WPP remained in a strong position, despite the sudden exit of Sorrell, who departed as chief executive after 32 years on 14 April after a board investigation into allegations of personal misconduct. He denied the claims "unreservedly". Read and Scott said the response from clients and staff had been "encouraging" in the last two weeks. The duo plan to take "a fresh look at our strategy" and develop "a vision for the group that recognises the challenges and opportunities presented by the structural shifts in our industry". They added: "Looking ahead, we will get even closer to our clients, and provide faster, more agile, more integrated solutions with data and technology at their heart - making it simpler to access the wealth of talent, creativity and capabilities we have within WPP."